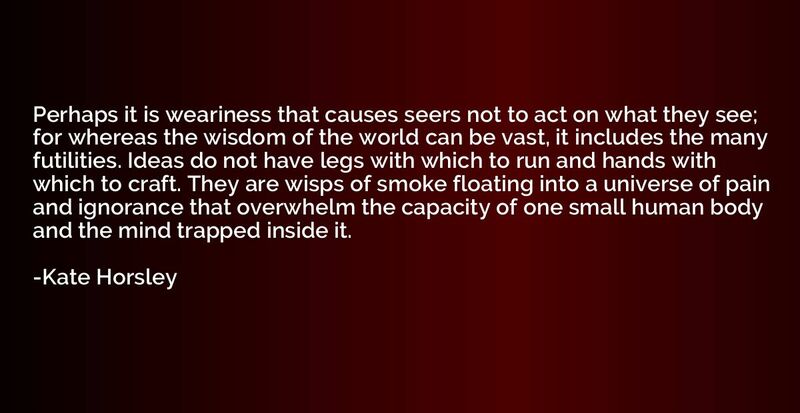 Perhaps it is weariness that causes seers not to act on what they see; for whereas the wisdom of the world can be vast, it includes the many futilities. Ideas do not have legs with which to run and hands with which to craft. They are wisps of smoke floating into a universe of pain and ignorance that overwhelm the capacity of one small human body and the mind trapped inside it. I learned regret in the ruins of Tarbfhlaith. I regretted that ambition had ruled my heart instead of affection for my kin. And with the lesson of regret came the gratitude for having life still to move my lips and limbs, and to speak kind words to and embrace those I may not see again on this sweet-smelling earth. I learned that I cannot wait to love what is in my presence, for it or I may well be gone tomorrow. 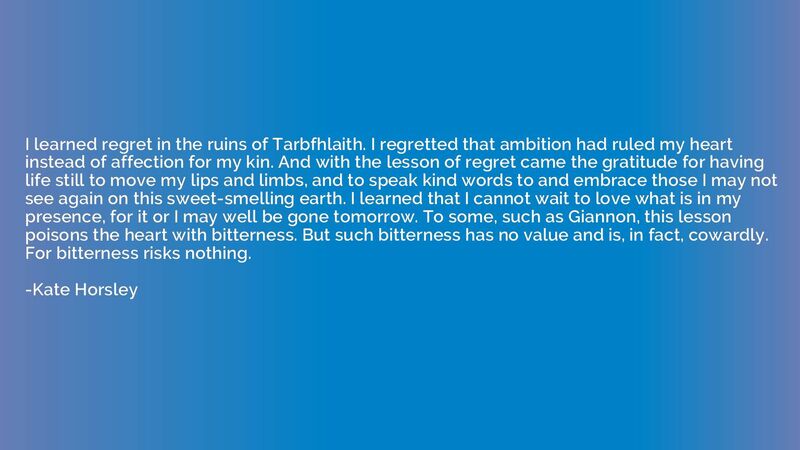 To some, such as Giannon, this lesson poisons the heart with bitterness. But such bitterness has no value and is, in fact, cowardly. For bitterness risks nothing. 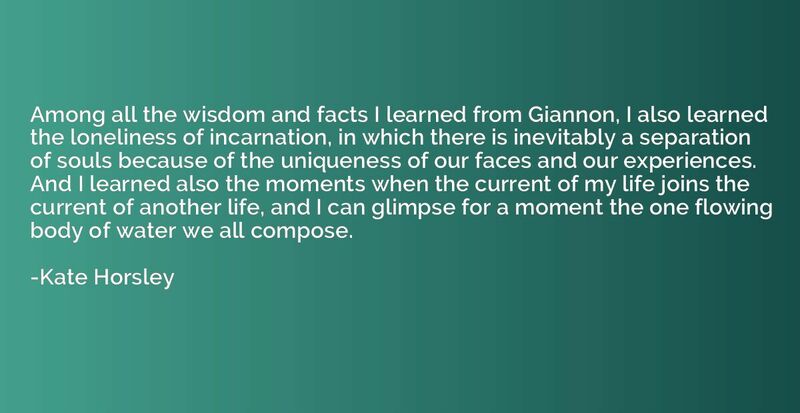 Among all the wisdom and facts I learned from Giannon, I also learned the loneliness of incarnation, in which there is inevitably a separation of souls because of the uniqueness of our faces and our experiences. And I learned also the moments when the current of my life joins the current of another life, and I can glimpse for a moment the one flowing body of water we all compose. Teaching is a sacred art. 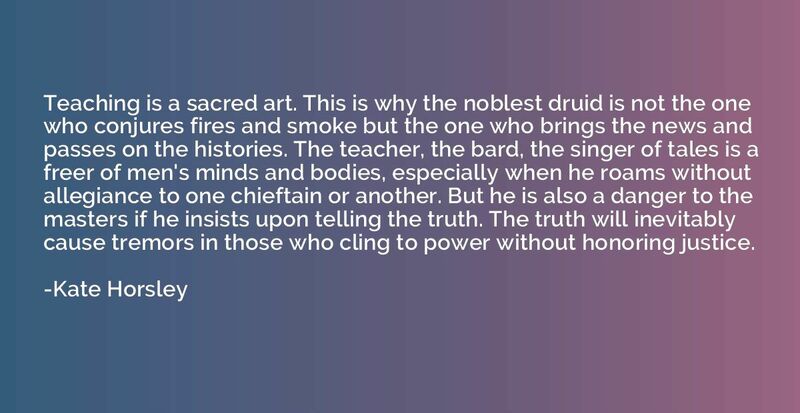 This is why the noblest druid is not the one who conjures fires and smoke but the one who brings the news and passes on the histories. The teacher, the bard, the singer of tales is a freer of men's minds and bodies, especially when he roams without allegiance to one chieftain or another. But he is also a danger to the masters if he insists upon telling the truth. The truth will inevitably cause tremors in those who cling to power without honoring justice.